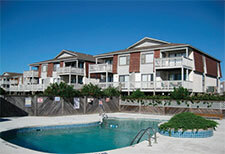 Featuring a variety of amenties, our Ocean Isle Condo rentals range from 1 to 6 bedrooms accommodating up to 16 guests. Below is an overview of the various amenities each condo complex has along with a link to view all the properties. Or you can view all condos together with filter options on the page to help find that perfect rental. 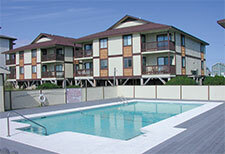 Project I & II - 2BR, 1.5-2 baths, balconies, access to swimming pool and community washer/dryer located at pool area. Fully equipped kitchen. Located on the West End. Internet Access in Selected Units. 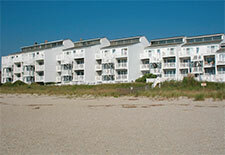 2 or 3 BR, 2 BA units with private balconies and swimming pool facing the ocean. A great spot for your vacation. Fully equipped kitchen. Convenient access to center of town. Internet access in select units. 1BR, 1BA, units. 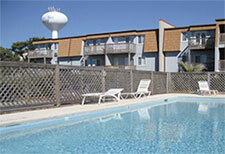 Pool access, fully equipped kitchen located 100 yards from ocean. Near sound, on the exclusive west end of the island. Outside shower and private balcony. Internet access in select units. From these two-bedroom, two-bath condos you will have scenic views of the marsh, local wildlife and the Intracoastal Waterway. Pool access, fully equipped kitchen, boat ramp, tennis court, easy access to beach - approximately 150 yards. Internet access in select units. From these two-bedroom, two-bath condos you will have scenic views of the marsh, local wildlife and the Intracoastal Waterway. 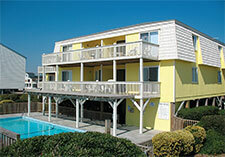 Pool, W/D, DW, MW, C/H/A, CCTV, boat ramp, tennis court, easy access to beach – approximately 150 yards. 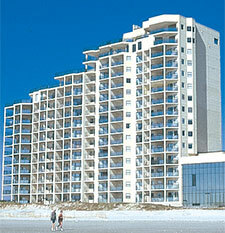 Offering multi-family, oceanfront accommodations Units A-1 & A-4 are in the same building. 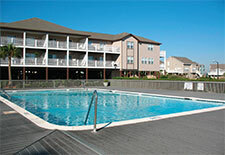 Each unit has 2 large BR, 2 BA, large combination covered porch and sundeck, and access to POOL. Fully equipped kitchen. 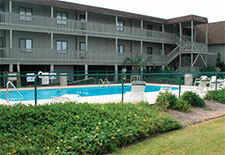 Conveniently located to center of town and walking distance to shopping. High Speed Internet. This oceanfront condo at 75 West First Street is the perfect getaway for a honeymoon, wedding anniversary, or a no-special-occasion trip to the beach. The cozy one bedroom unit has a queen bed in the bedroom, a separate living room/kitchen with a bistro table for two, and a great view of the ocean. You can catch some sun rays from the small ocean side porch or sit in the shade under the gazebo on the dunes. 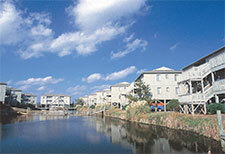 Upscale condominium complex located on the exclusive western end of Ocean Isle Beach. Each four (4) bedroom, four (4) bath villa is immaculately decorated with 9 foot ceilings throughout, whirlpool tub in master bathroom, ceramic tile, large covered porches and lots of extras! Fully equipped kitchen, wet bar and elevator access. 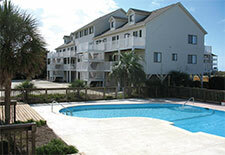 Pool access at oceanfront beach club only steps away! NON SMOKING. Internet Access in selected units. Each unit has a wet bar, a balcony overlooking the ocean, and a jacuzzi in master bedroom. Swimming pool. Fully equipped kitchen. Conveniently located to center of town and walking distance to shops. Internet access in select units. 3 BR, 2BA, with individual balconies, and pool access. Fully equipped kitchen. 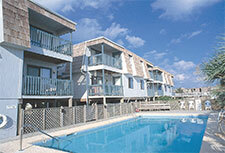 Located in a private and quiet complex at the west end of the island. Internet access in select units. 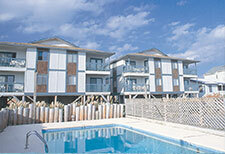 Luxurious oceanfront 2BR, 2BA & 3BR, 3BA, condominiums located on the exclusive west end of Ocean Isle. Each unit is furnished and well equipped. Features include wet bar, BBQ grills, marble foyers, and of course, an incomparable ocean and marsh view. Amenities include an indoor and oversized outdoor pool, kiddy pool, indoor hot tub, beautiful sunset views, elevators, and private dock with seating area. Internet access in selected units. 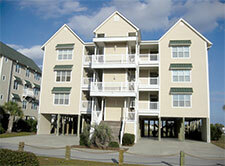 2 or 3 BR, 2BA, DW,with ocean sundeck, balconies, Fully equipped kitchen, paved parking area. Spacious deck surrounding ocean side swimming pool. Each building has 4 units located at the exclusive west end. Internet access in select units. 2 or 3 BR, with den, private balconies, fully equipped kitchen, and swimming pool. 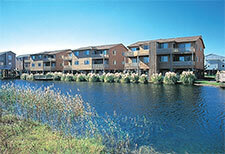 Each building has 4 units located at the exclusive west end of the island. Internet access in select units. 2 BR, 2BA, fully equipped kitchen, outside grills, sundeck, picnic area. 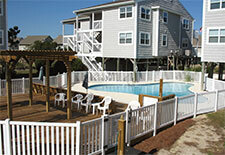 Good beach access, swimming pool and located at the far east end of Ocean Isle near the inlet. Internet access in select units. 2BR, 2BA, with swimming pool and outside showers. Fully equipped kitchen. Convenient to the ocean with direct beach access. 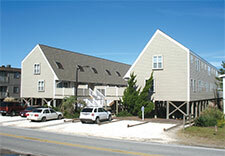 Located on the west end of Ocean Isle Beach. Internet access in select units. 3BR, 2BA. 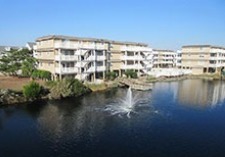 with wet bar, dock, tennis courts, fully equipped kitchen, parking underneath each unit. Water and marsh view. BBQ grills, 3 swimming pools (1 oceanfront). Private beach access. Each building has 4 units. Internet access in select units. 1BR, 1.5 BA, NON SMOKING. 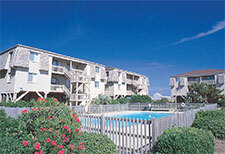 Direct access to beach and pool, access to tennis courts, 3 swimming pools (1 oceanfront), outside shower, grills, docks. Fully equipped kitchen Internet access in select units. Located 100' from ocean. Contemporary 1,200 square feet: 2BR/2BA w/separate den - wet bar and 3BR/2BA. With private balcony front and back, sundeck, swimming pool, fully equipped kitchen. 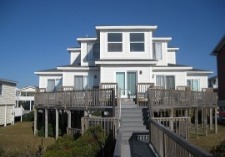 Located on the west end, approximately 150 yards to ocean, near sound. Internet access in select units. WINDJAMMER I is Oceanfront with a magnificent ocean view. Each unit has an oceanfront balcony, elevator, fully equipped kitchen, swimming pool, outside grills. Located on the west end of the island. Internet access in select units.